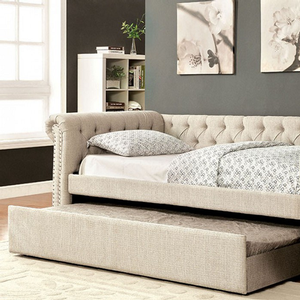 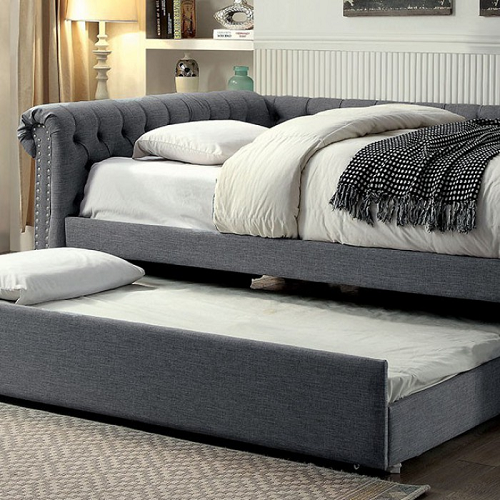 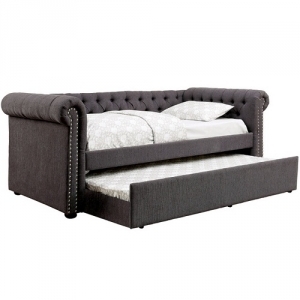 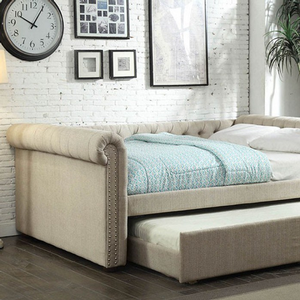 An elegant take on a space-saving structure, this daybed and trundle set is a sophisticated alternative to traditional designs. 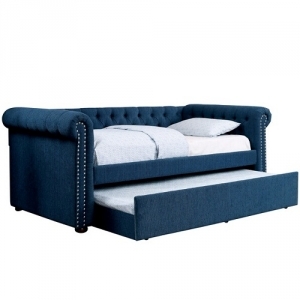 This unique set draws inspiration from classic sofa designs with its rolled arms, button-tufted back and nailhead trim. 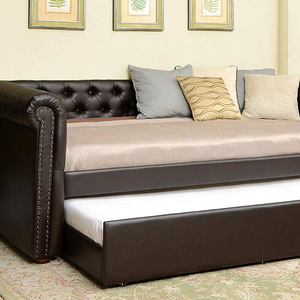 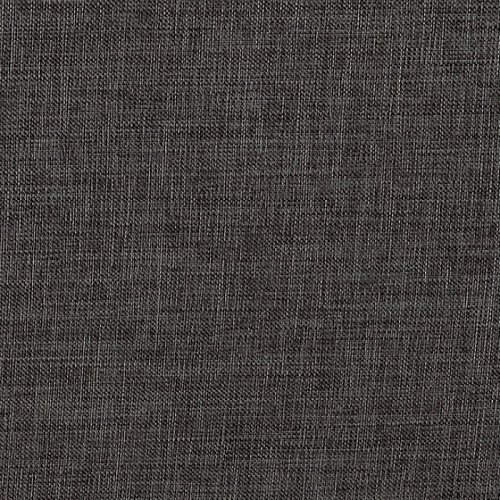 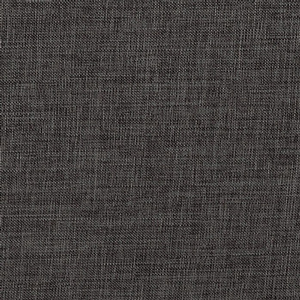 The solid wood framework ensures durability while wrapped tightly with warm linen-like fabric in four colors, or in brown leatherette.